Kennedy Holmes and Ameren Chairman, President and CEO Warner Baxter. Photo by Megan Maune. 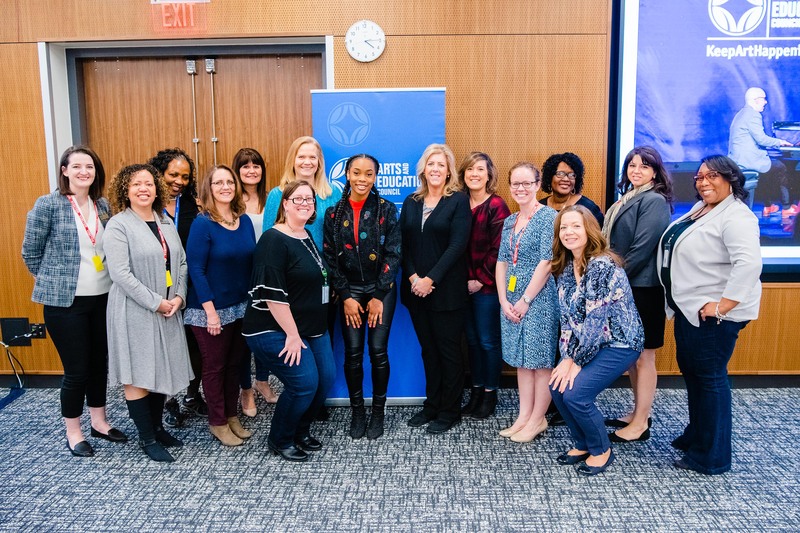 Ameren employees were treated to a special Friday afternoon event on March 22 when singing sensation Kennedy Holmes gave a free, live performance for employees. 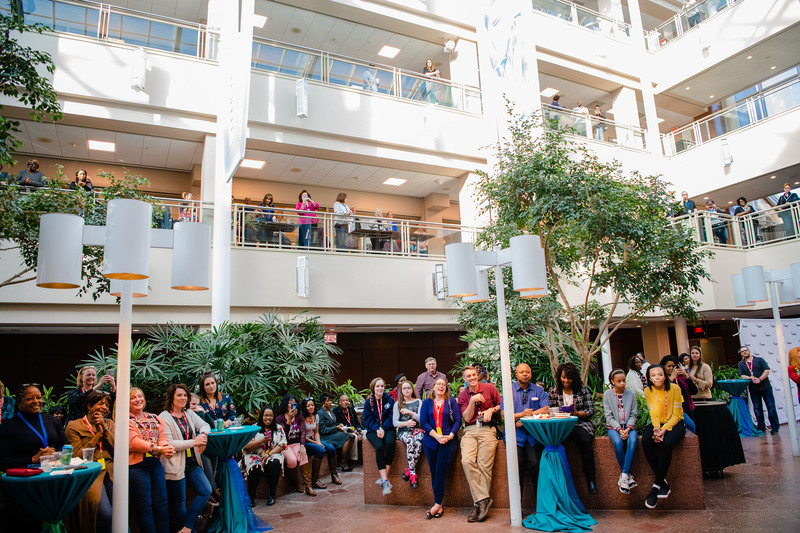 The event was in celebration of Ameren’s 2019 workplace giving campaign for the Arts and Education Council, which runs late April. Kennedy, a finalist on season 15 of NBC’s The Voice, is no stranger to Ameren. Her mother, Karen, works at Ameren and her grandmother, Rosa, recently retired from the utility company after 41 years of service. 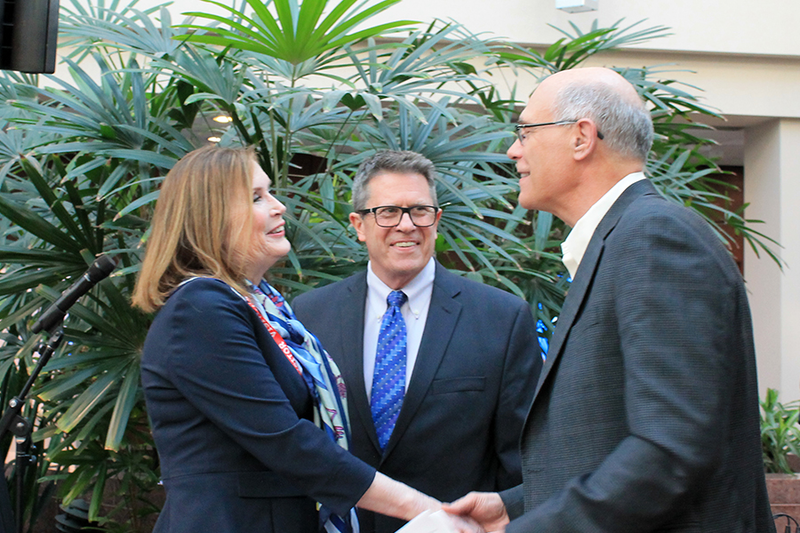 When introducing her, Ameren Chairman, President and CEO Warner Baxter noted that Kennedy is a shining example of the remarkable talent that comes out of St. Louis’s arts education programs. She has trained with and performed on the stages of COCA, The Repertory Theatre of St. Louis, STAGES St. Louis and The Muny – all current or past grantees of the Arts and Education Council. She also performed at the 2019 St. Louis Arts Awards. Since 1967, Ameren employees have contributed more than $7 million to the Arts and Education Council. Donations made through workplace giving campaigns account for more than half of the organization’s annual fund each year. For more information about workplace giving campaigns, click here.